When you Google “bell peppers,” the first thing that pops up after their Wikipedia page is a link to The World’s Healthiest Foods. I love that. Bell peppers, to me, are so southern, so summer, so nostalgic AND so healthful! My grandmother made pepper jelly in the warm weather, that would come out in all of its green and red gloriousness around the holidays. I’ve got a recipe for her jelly, and a fun treat I like to call Pepper Jelly Coins in the “Sips and Bites” section of the cookbook! One of my favorite stories about red bell peppers, though, is one my mom tells. She and my dad lived in the Philippines when they were first married, and she would be a young wife on a tight budget, faced with entertaining her husband’s work colleagues. Roasted peppers became a go-to for her—they’re beautiful, inexpensive, delicious, and can be made way in advance then served cold! All necessary traits for a cheap dish. —so I never used to gravitate toward this dish. I used to burn them all the time, and still manage to undercook the insides. Turn the oven on to its broiler setting. Put the peppers on the rack. And wait. Check the peppers to see if they’re blistering. And wait. When the peppers begin to blister, turn them. And wait. When the peppers begin to blister on their new side, turn them. And wait. Then, when they’re all lovely and blistered on each side, you pop them into brown paper bags to steam themselves. And wait. They are kind of cute sitting there all in row though, aren’t they? The thing about the peppers, and all the waiting, is that for all you’ve got to check in on them, there’s not a whole lot else they ask of you. This means that if you’ve got someone you love hanging out with you, or tunes you love and some dance moves, then making the peppers becomes this wonderful kitchen hangout experience. This is the other part I used to mess up, not letting them steam long enough. But the skin should really come right off if you’ve given them the right amount of time. If the skin is being hard-headed and oppositional, then its time to add another conversation topic, or put on another track. Then, off it comes! I hope this helps any of you out there wanting to roast peppers for summer afternoon snack! Click here for the full recipe for marinated roasted bell peppers! With graduation season upon us and spring about to turn into summer, it seems as good a time as any—no, scratch that, it seems like the PERFECT time to start my blog. I’ve been cooking and writing and sharing into the world for a while now; why not pull all of this soulfoodLOVING I’m doing into a place that lives outside of my book?! I love the promise of Spring, and the invitation of Summer. Promoting the book has kept me so busy that I’ve hardly had the time or energy to do the cooking I need, deserve, and soulfoodLOVE. That all changed last week, When I began a spring cleaning of my kitchen and of my body! 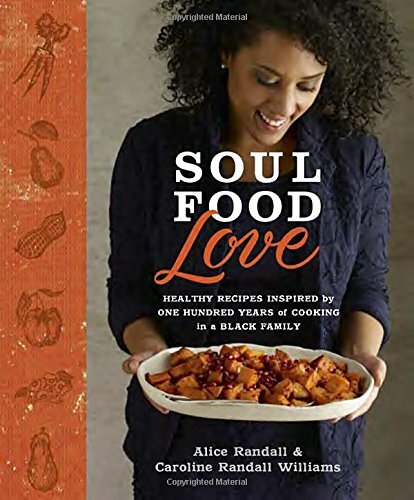 I’m trying to eat SoulFoodLove recipes, at home, as much as possible heading into these warm months. I stocked my fridge, and made a bunch of meals ahead—no “I’m in a hurry and can’t cook” excuses! Check out my fast food situation—SoulFoodLove “Spring Cleaning” Style! That’s “New School Fruit Salad”, one of my favorites. I also made a bunch of grab-and-go “Eggplant towers with Mashed White Beans.” Ate one for dinner the other day—you might have seen me share it on Instagram! I’m so happy to share my Spring Cleaning treats with you from the SoulFoodLove blog—stay tuned for more entries on the Spring to Summer menu!